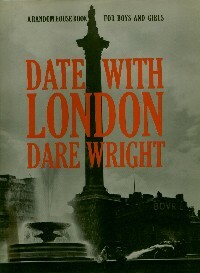 (1915-2001) Dare Wright grew up in Cleveland. 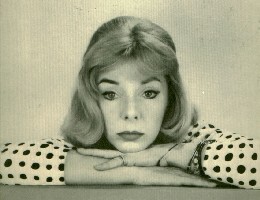 She later moved to New York City to pursue life as a photographer, actor, and model, and took her Lenci doll that her mother bought at Halle's Department Store with her. 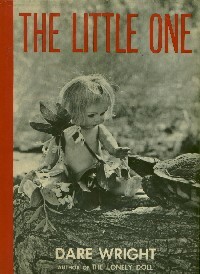 The publication of The Lonely Doll featuring her black and white still-life photographs of her doll was a smash success and made the New York Times Best Sellers List. She wrote 18 other children's books using photography as illustration, with many featuring the popular Edith. At long last, three of the Edith and Mr. Bear children's books have been reprinted. I haven't heard any plans for more yet, and I fear that these three are on their way back out of print again, although there is certainly renewed interest with Jean Nathan's recent biography of Dare Wright. 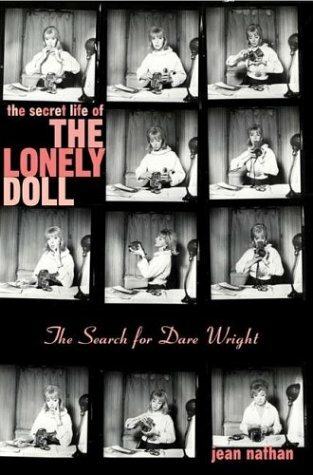 This long-awaited biography is called The Secret Life of the Lonely Doll: The Search for Dare Wright, and is now available for $25. The Doll and the Kitten. Doubleday, 1960. Edith and Big Bad Bill. Random House, 1968. 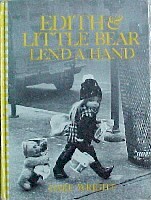 Edith and Little Bear Lend a Hand. Random House, 1972. Edith and Midnight. Doubleday, 1978. *Edith and Mr. Bear. Random House, 1964. Edith and the Duckling. Doubleday, 1981. *A Gift from the Lonely Doll. Random House, 1966. 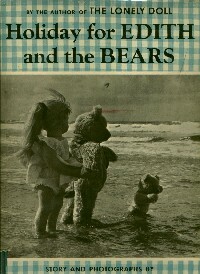 Holiday for Edith and the Bears. Doubleday, 1958. The Kitten's Little Boy. Four Winds Press, 1971. The Little One. Doubleday, 1959. Lona, a Fairy Tale. Random House, 1963. *The Lonely Doll. Doubleday, 1957. 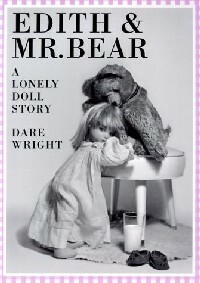 The Lonely Doll Learns a Lesson. Doubleday, 1961. Look at a Calf. Random House, 1974. Look at a Colt. Random House, 1969. Look at a Gull. Random House, 1967. Look at a Kitten. Random House, 1975. Take Me Home. Random House, 1965.